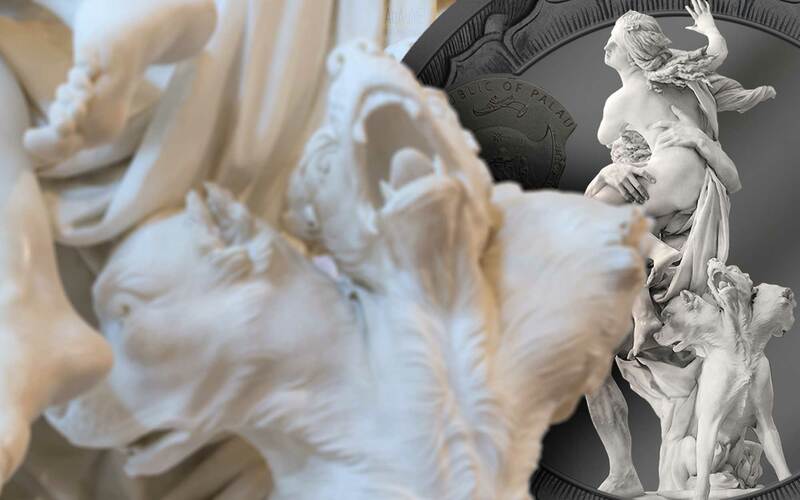 A global innovation when launched almost a decade ago, these 25 euro silver niobium coins still combine state-of-the-art numismatic technology and first-rate aesthetic design. First issued in 2003, their silver outer ring and coloured niobium ‘pill’, which is attained by oxidation as opposed to the application of artificial colour, have provided the perfect backdrop for exploring suitably technological themes, from astronomy to aviation, robotics to renewable energy and electric light to television. Although as common as lead and even present in the human body, niobium was only discovered at the beginning of the 19th century. A resistant metal with extremely high chemical stability, it can be rolled and forged at room temperature, which in part explains why niobium is increasingly popular as a component in the manufacture of jewellery. Another of niobium’s facets is that colour does not need to be applied to it. 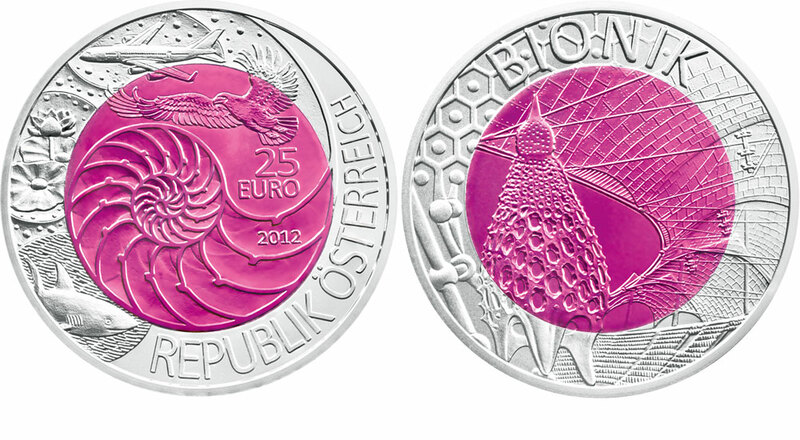 Instead, through ‘anodized oxidation’, the method first applied to coins by the Austrian Mint, a thin oxide layer is produced on the coin surface and subsequent light refraction enables different colours to arise. The resultant effect is quite striking and quite unique. Equally striking is the quality of artwork on both sides of these coins. 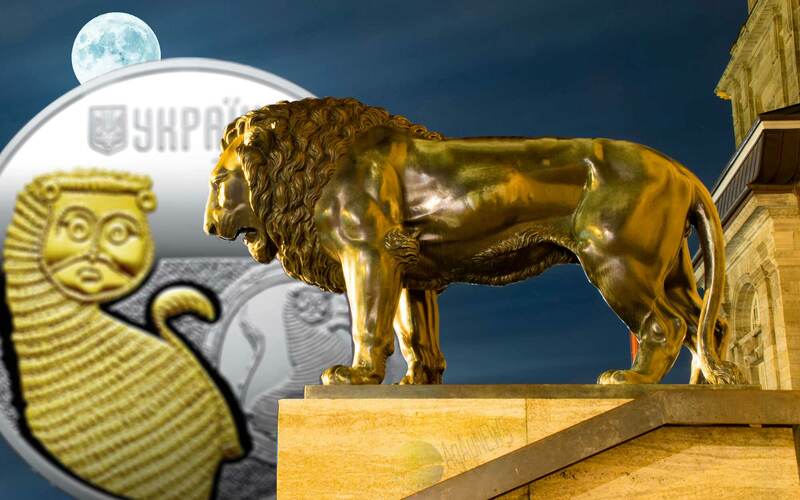 The 2012 coin Bionik, has been nominated for an award at the 2014 Coin of the Year awards, the 2011 coin, Robotik, won Best Contemporary Event and the 2008 coin, Fascination Light, won Most Innovative Coin. We know that many collectors don’t bother looking at Euro coins, but there are some terrific quality series coming from the European mints and the quality is usually top-notch. The Silver Niobium series definitely fit’s that description and is well worth a good look. They come packaged in the Austrian Mint’s usual little red box, which are small, neat and appreciated by those with collections that can do without huge amounts of packaging..
Mintages have settled at 65,000 and they all seem to sell out. A recent boost has given the series a real kick. 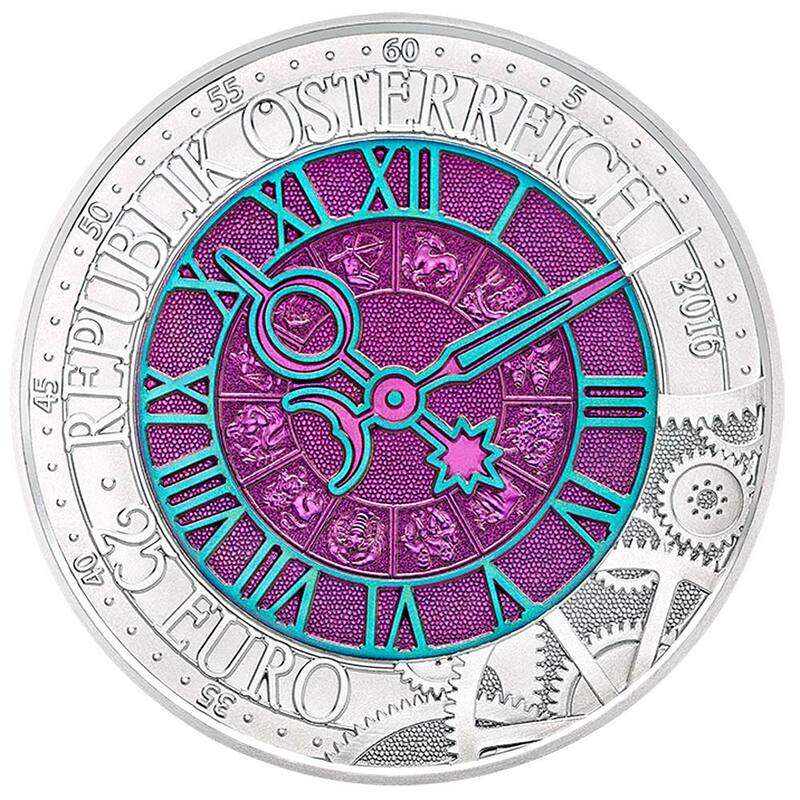 Since the 2014 coin there has been the use of two-colours for the niobium pill, the Cosmology and Time coins in particular being very appealing pieces. 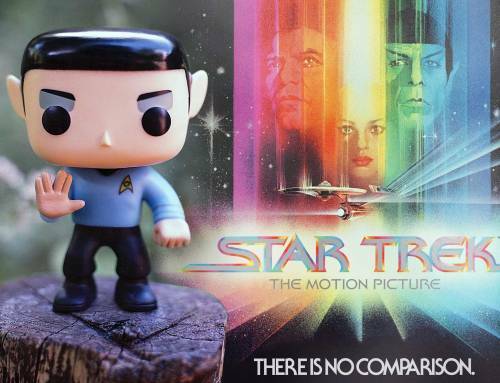 An attractive, unusual collection that’s reasonably priced. 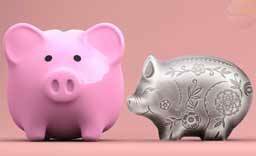 We’d like to see the process applied to a coin series with more worldwide appeal as well, although the Royal Canadian Mint has also used it on a few issues. The footprint of humanity on the Earth is unfortunately a massive one. So big that experts now agree that humanity’s impact on the planet is so profound that it is time to declare a new geologic epoch – the Anthropocene. Examples of this impact are the radioactive elements dispersed across the planet by nuclear testing, plastic pollution and the soot produced by fossil-fuel power stations. 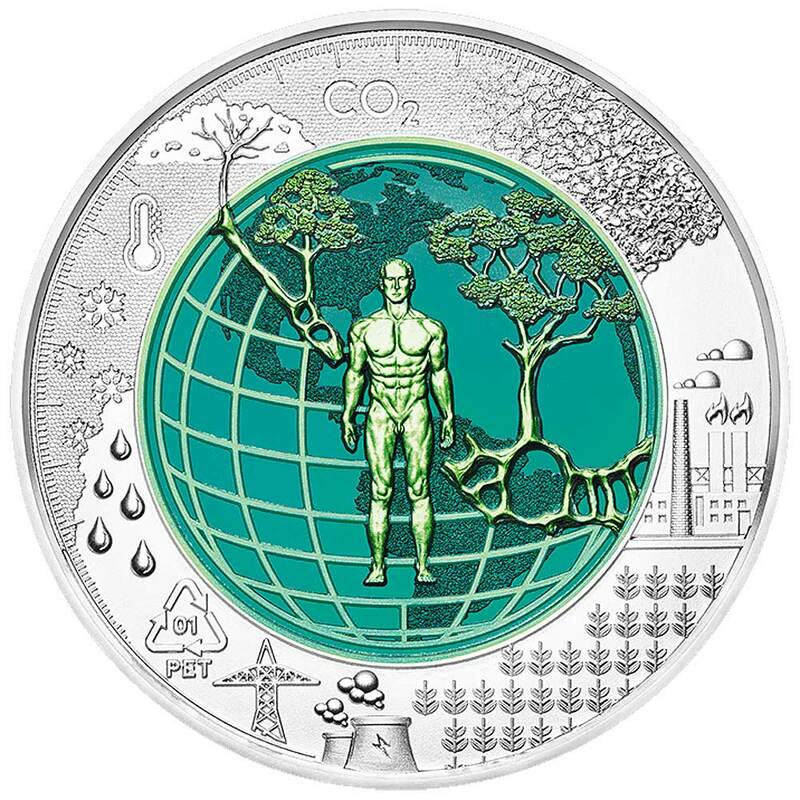 These and other adverse effects are illustrated in exquisite detail on Anthropocene, the 2018 edition of our ever-popular Silver Niobium coins. Beginning at the end of the Ice Age, some 11,700 years ago, the subdivision of the Quaternary geologic period, during which all human civilisation developed, is known as the Holocene. 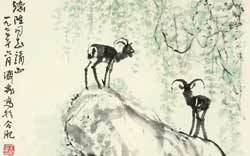 The partly scientific, partly philosophical concept of the Anthropocene is effectively a continuation of the Holocene under a symbolic new name. Different shades of green are used in the coin’s niobium core to illustrate this concept. Humanity and its huge footprint on the planet dominate either side of the coin’s two-tone green niobium core, while humanity’s adverse effects on planet Earth are shown in the silver outer ring of Anthropocene. The means of transport for this journey is a rather unexpected one ̶ the butterfly. 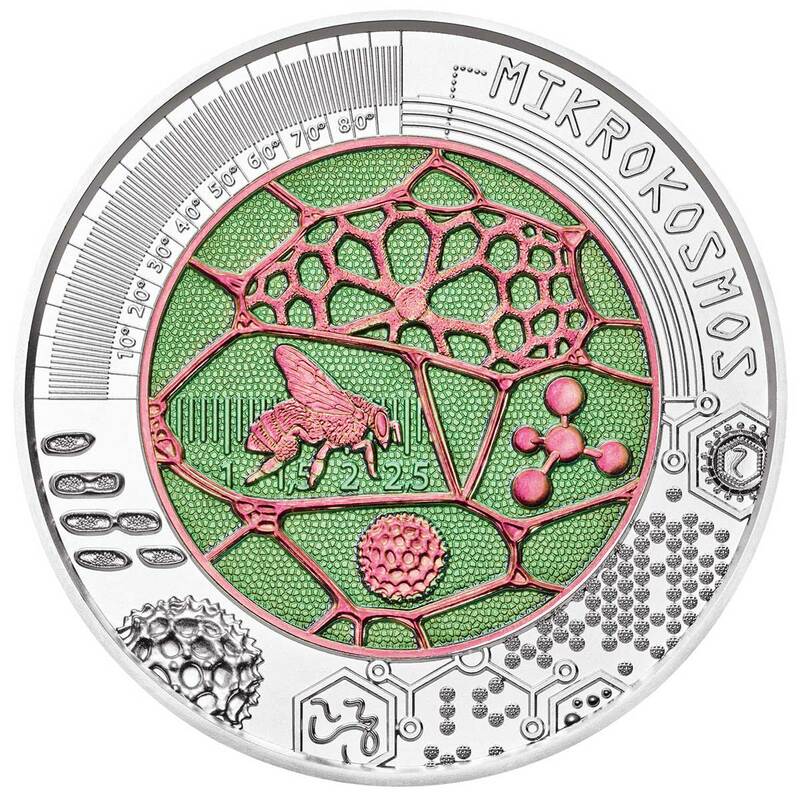 A shining example is found in the raspberry-red and grass-green niobium centre of the coin’s obverse. But the journey of discovery really begins on the coin’s reverse, where a microscopic view of a butterfly wing is shown at the top of the centre. Moving clockwise we go even deeper with the help of an electron microscope. But that is not the end of the expedition: the bottom half of the coin shows a cell, its structure and even its core. What makes our Silver Niobium coins so special is the fact that their niobium tones arise without the application of colour, purely through light refraction on an extremely thin, transparent oxide layer. Microcosm, like all the other coins in the series,truly glistens with knowledge. Though hardly the most accurate of chronometers, the sun and moon, which feature on the coin’s reverse, along with an hourglass and watch mechanism, were widely used until the 16th century. It was determined back then that an hour lasts 60 minutes, though time has since been increasingly sub-divided, first into seconds and eventually nanoseconds. This has had the effect of making time ever more precious, with the phrase “time is money“, famously coined by Benjamin Franklin in 1748, being more pertinent today than ever, Standing for lasting value in a fast-moving world, however, the coin shows an old-fashioned clock face in the niobium core and a chronometer in the outer silver ring of its obverse, while the reverse also shows a time spiral and the time in a selection of famous cities. The theoretical meaning of time may have long been a major subject of debate among philosophers, physicists and religious figures, but the more practical discipline of its measurement has proved to be less of a mystery. Dedicated to the history of chronometry, the latest ingenious addition to the Austrian Mint’s best-selling two-tone silver niobium coins, ‘Time’ uses its two-tone niobium core and outer silver ring to show a selection of timepieces throughout the ages. Hot on the heals of our trailblazing 2014 coin, featuring two shades of niobium on both sides, comes our stunning 2015 offering, Cosmology. As ever, our innovative Silver Niobium series explores fittingly high-tech themes. This time, Cosmology brilliantly deploys its contrasting blue and yellow niobium hues to bring outer space just a little bit closer to home. 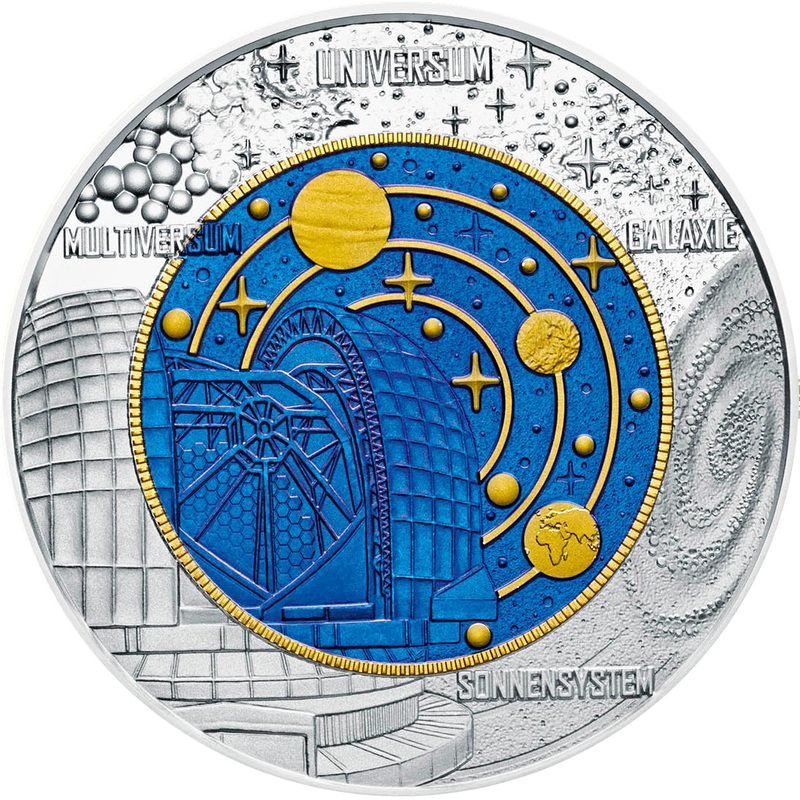 On its obverse, Cosmology features an illustration of the universe in its niobium core, complete with stars, the planet Saturn and its rings, and the Rosetta space probe, the first ever spacecraft to orbit a comet. On the coin’s reverse, the planets in orbit encircle the European Extremely Large Telescope, which is currently under construction by the European Southern Observatory in the Atacama Desert of Chile and is due for completion in 2022. The telescope will enable us to look deeper than ever into the solar system, the galaxy and the universe, concepts illustrated on the coin’s outer silver rings. It may not answer the question: Are we alone in the universe? But it will certainly make a major contribution to the search for extra-terrestrial life. 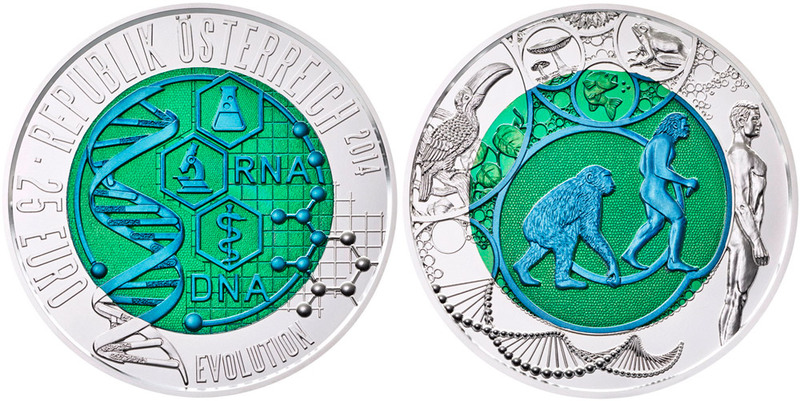 Symbolising the origin of Evolution as a whole, an image of the DNA molecule, also known as deoxyribonucleic acid, graces the coin’s obverse. A debate still continues about who exactly should be credited with decoding the molecule, but Francis Crick, James D. Watson and Maurice Wilkins were awarded the 1962 Nobel Prize in physiology or medicine for their work in this field. 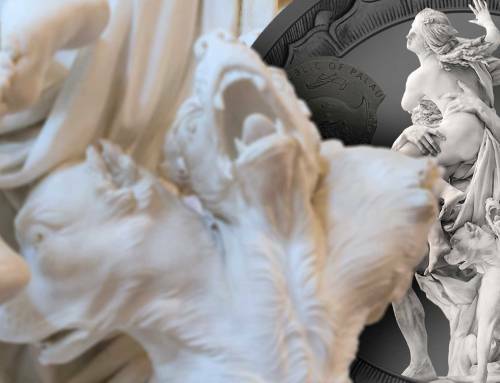 The coin’s reverse deals with the history of human development and the diversity of forms of life brought about by evolution, with the design making splendid use of the coin’s outer silver ring and inner niobium pill to do so. One of the most mountainous countries in Europe, Austria has inevitably played a vital role in the development of tunnels. 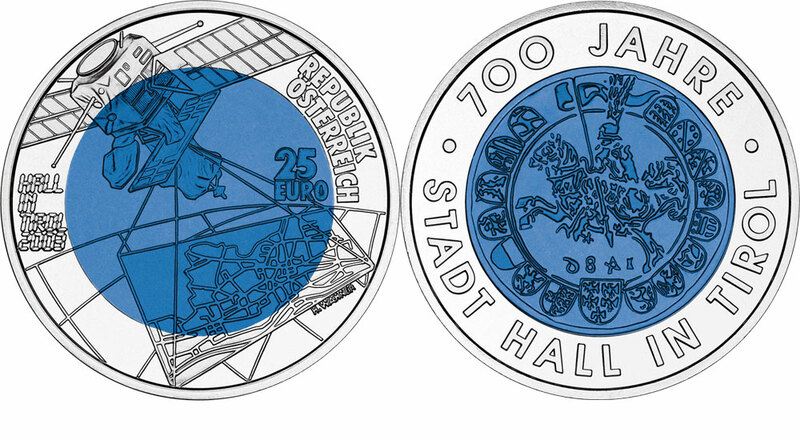 The brilliant ice blue 2013 addition to our innovative 25 euro Silver Niobium series pays homage to Austria’s long and influential contribution to tunnel construction. Opened in 1848, the vertex tunnel of the Semmering railway was the world’s first alpine tunnel. The ‘New Austrian Tunnelling Method’, which uses the geographical stress of surrounding rock to strengthen a tunnel, was developed from 1957 to 1965 and has since done a great deal to revolutionise tunnel construction around the world. A present-day tunnel boring machine features in the niobium pill of the coin’s obverse, its rotating motion symbolised by three arrows. The obverse’s outer silver ring shows the mountains through which the machine pierces. 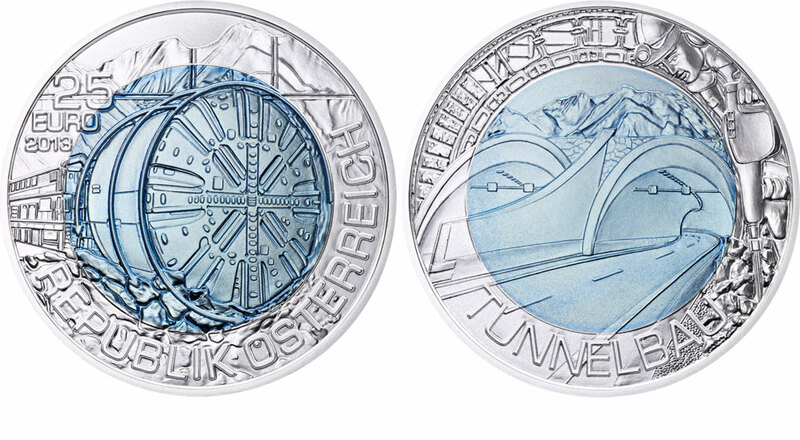 The coins reverse makes excellent use of the niobium pill to show one of the many road tunnels that pepper Austria’s alpine landscape today, while a tunnel worker uses a pneumatic drill to loosen rock in the silver ring alongside the word “Tunnelbau” (tunnel construction). As eye-catching, innovative and informative as its predecessors, Bionik, the exquisite purple 2012 addition to our 25 euro Silver Niobium series, pays fitting tribute to how evolution in the natural world acts as a prototype for technology. Evolutionary pressure typically forces living organisms to become highly optimised and efficient. A prime example is the water-repellent nature of the lotus flower and of shark skin, a phenomenon fundamental in the development of paint. By the same token, the chambered shell of the nautilus has influenced architectural design and the mechanics of bird flight have clearly inspired aviation. All four of these examples feature on the coin’s obverse, while its reverse focuses on the use of bionics in architecture. A radiolarian, the plankton that inspired Spanish modernist architect Antoni Gaudí, is depicted in the foreground, while the reverse’s background shows an interior view of Munich’s Olympic Stadium, the roof of which was based on findings in bionics. 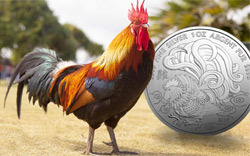 Our unique silver niobium technology has again enabled us to produce a unique coin. 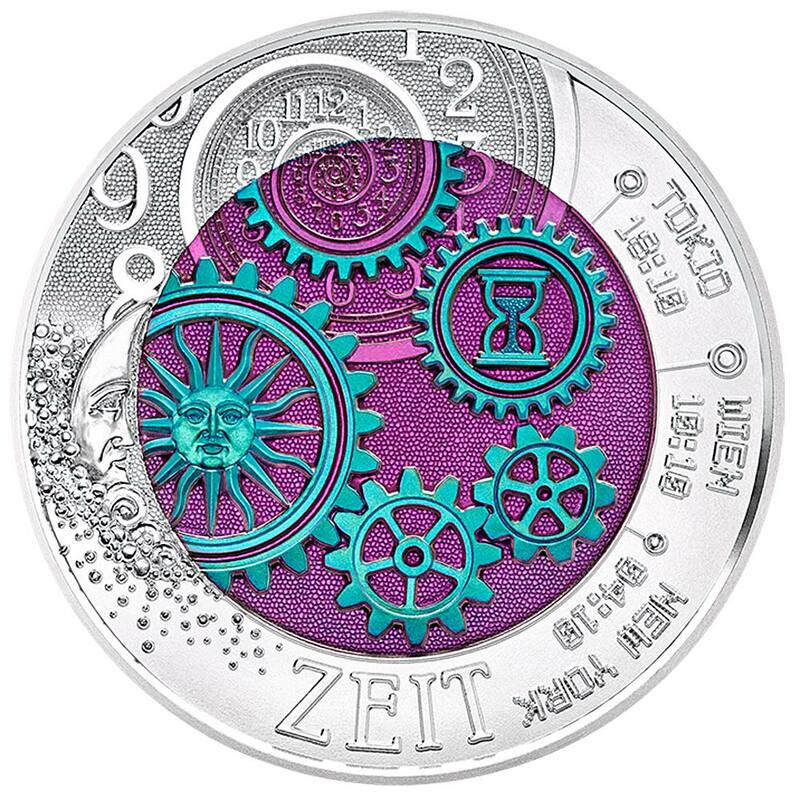 The 25 euro coin’s two-tone surface provides the perfect background for mint designers Helmut Andexlinger and Thomas Pesendorfer to explore robotics. Symbolising the fusion between electronics and mechanics, fundamental in robotics, the intricate illustrations on the obverse of this cutting-edge piece feature mechanical cogs and digital binary coding. In its centre a robotic version of Leonardo da Vinci’s Vetruvian man typifies ideal human proportions in the place of a human being, set against the mars-red background of the niobium core. 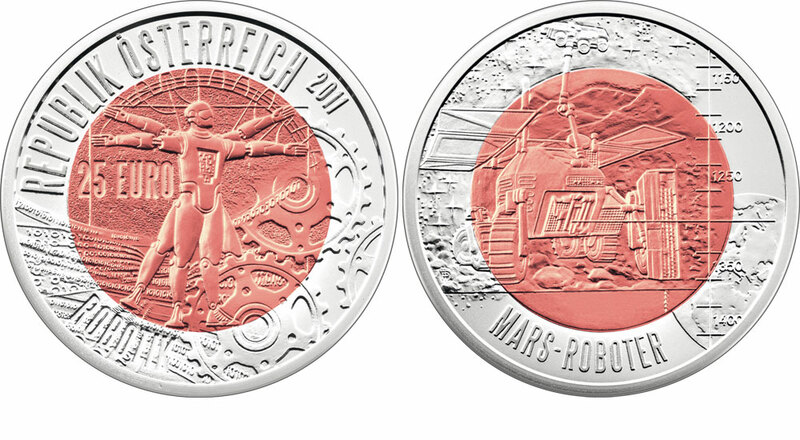 This colour is a reference to the coin’s reverse, which shows a mountainous Martian landscape with a European Space Agency robot exploring the red planet as a star-filled sky and planet Earth shine down from the coin’s silver edge. Not only one of the key watchwords of the 21st century, sustainability is also one of its biggest challenges. 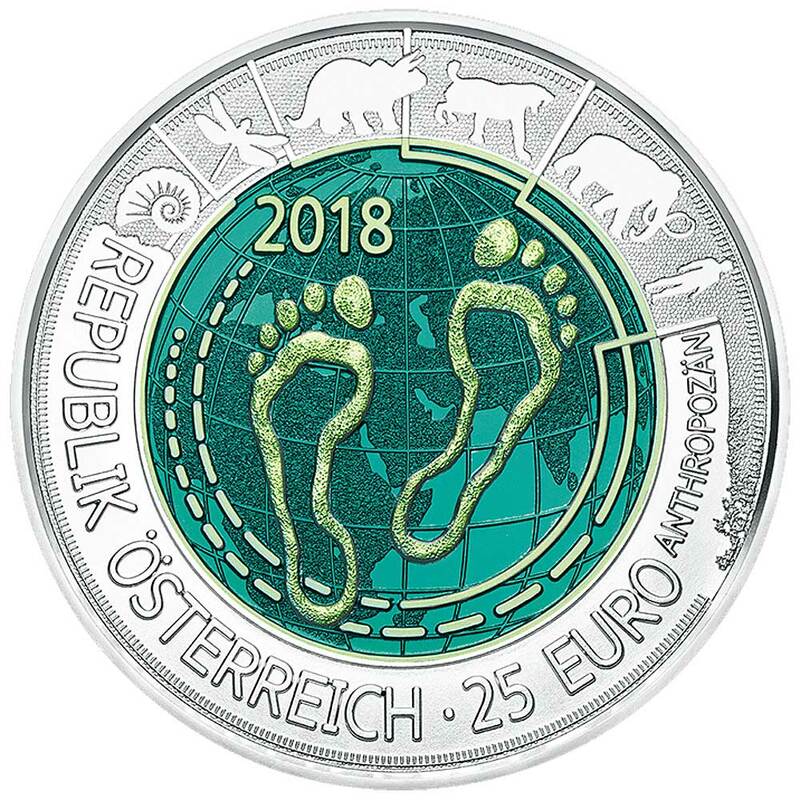 In recognition of this, the outstanding 2010 edition of the Austrian Mint’s popular 25 euro Silver Niobium series features renewable energy and the vital role it plays in a world of dwindling resources. 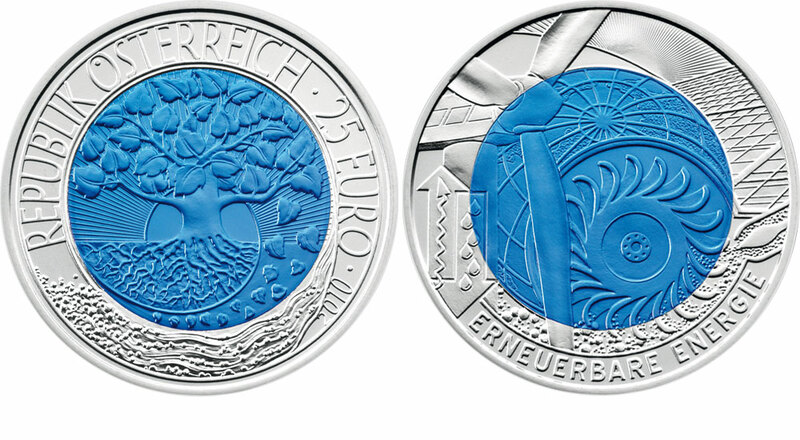 Inspired by the living, breathing plant process, our engraver Helmut Andexlinger has placed a tree representing all our planet’s vegetation in the shining blue niobium core of the coin’s obverse. The wind blows the tree’s leaves to the ground in a spiral reflecting the life-giving cycle of the four elements – earth, wind, fire and water. All four are also represented in ingenious detail on the coin’s reverse by the contemporary modes of renewable energy used to harness them. Water drives one type of turbine, wind another, the suns rays are captured by solar panels and geothermal heat sources in the earth are recovered in the form of steam. It is only fitting that the silver niobium coin struck in honour of UNESCO’s International Year of Astronomy 2009 should bear the portrait of Galileo Galilei. 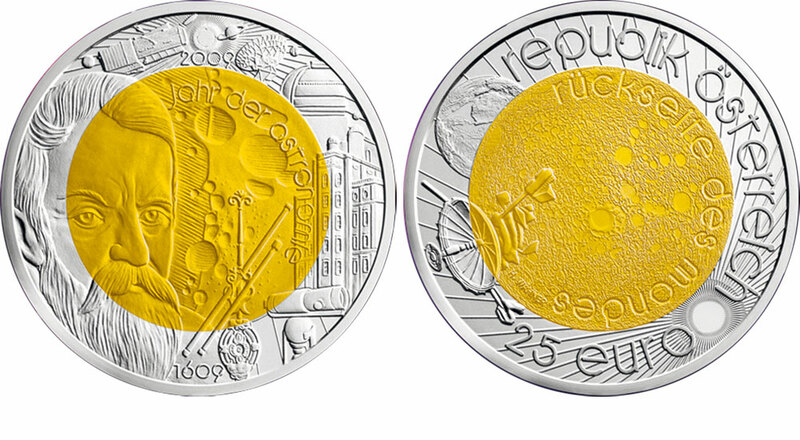 A must for all stargazers, this striking 25 euro coin also pays tribute to 400 years of the telescope. In 1609, mathematician and astronomer Galileo first observed the moon with a telescope. His subsequent drawings of its surface provide the background to his portrait on this marvelous golden yellow silver niobium 25 euro coin’s reverse. The Sterling silver ring around its niobium core shows the development of the telescope spanning from Isaac Newton to present-day radio telescopes. The dark side of the moon was, however, beyond Galileo’s reach. 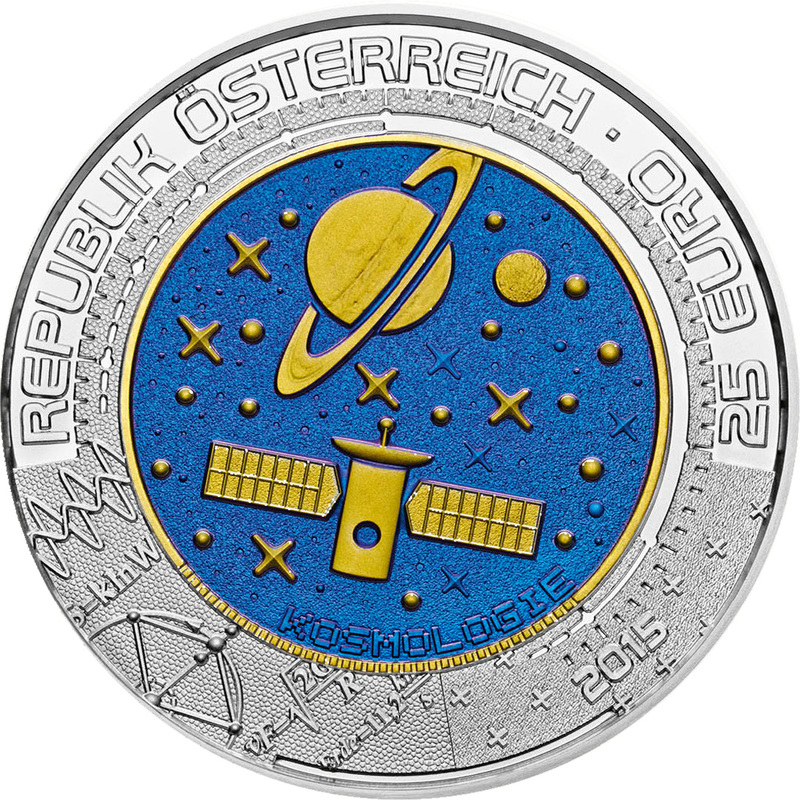 A satellite is shown orbiting it on the obverse of the coin, while the outer silver ring shows planet Earth partly covered by the moon and a stylised sun illuminating the heavens. The technology developed by Austrian lighting pioneer Carl Auer von Welsbach is still in use in billions of light bulbs around the world today. 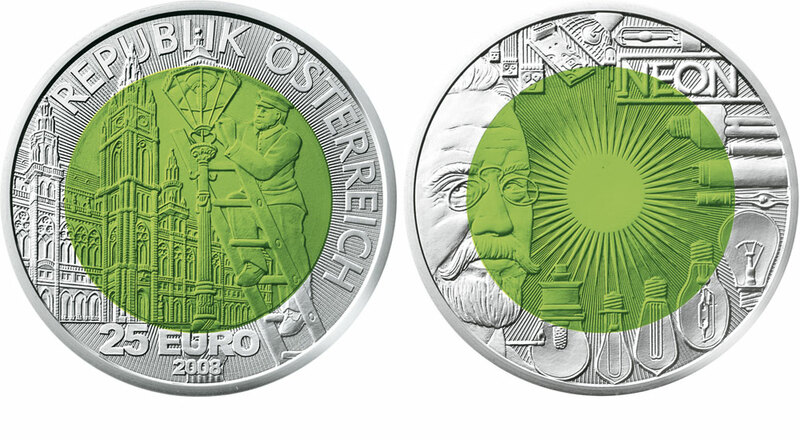 The stunning 2008 edition 25 euro silver niobium coin celebrates the 150th anniversary of his birth as well as one of the earliest recognised energy sources – light. Born in Vienna in 1858, chemist and entrepreneur Carl Auer von Welsbach was one of the key figures in the development of the gas lamp. The obverse of this coin therefore shows, in exquisite detail, such a lamp being lit outside Vienna’s neo-gothic city hall. The coin’s striking green colour is achieved by heat treating and oxidising the niobium core and applying an extra finish prior to its striking. This process has provided engraver Herbert Wähner with a brighter, almost glowing background for his exquisitely engraved designs. The reverse depicts the sun, the ultimate source of light, a portrait of Carl Auer von Welsbach and, in the Sterling silver outer ring, the evolution of lighting technology. 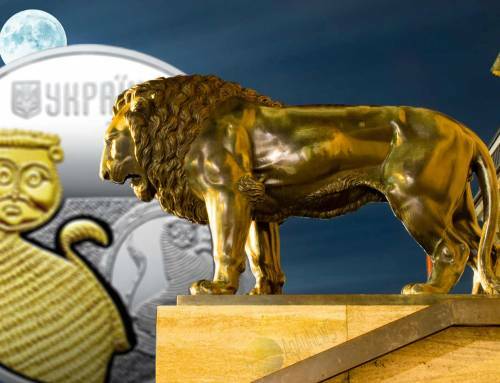 With a maximum mintage of 65,000 pieces in Special Uncirculated quality only, the coin contains 9 grammes of 900 Fine silver in its outer ring and 6.5 grammes of 998 pure niobium. Each coin is encapsulated, boxed and comes complete with a numbered certificate guaranteeing its authenticity. In 1907, Franz Xaver Wels flew several hundred metres with the kidney-shaped Zanonia glider. Igo Etrich developed the glider into a recognisable aeroplane called the Taube (the Dove) because of its bird-like wings and tail. With this machine, in 1910 Etrich’s colleague Karl Illner was able to make the first successful motorised flight in Austria, from Wiener Neustadt to Vienna and back. 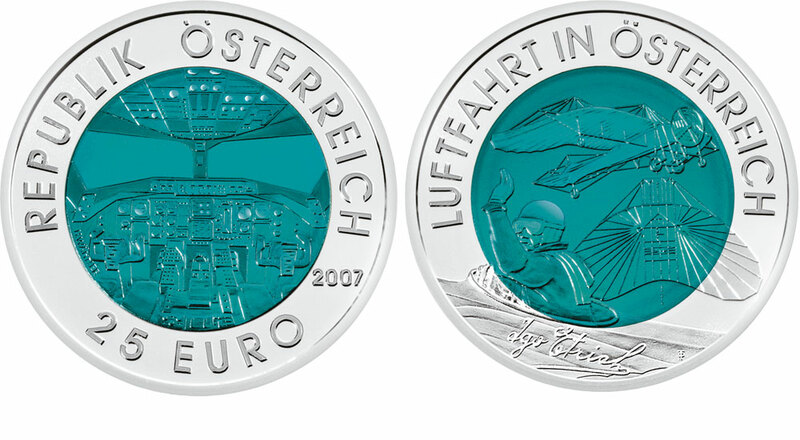 Both aircraft feature in the niobium core on the reverse of the coin, as does Illner himself waving from the cockpit of the Taube just before his historic flight. The silver outer ring bears the inscription “Luftfahrt in Österreich”, Aviation in Austria. The obverse shows a familiar view into the cockpit of a modern passenger aircraft, ringed by the country identification “Republik Österreich” and the 25 euro face value. The coin’s golden brown niobium core cleverly depicts a compass on the coin’s obverse, with the geographic coordinates showing the Austrian Mint’s exact location in Vienna etched over the eight cardinal points and year of issue. 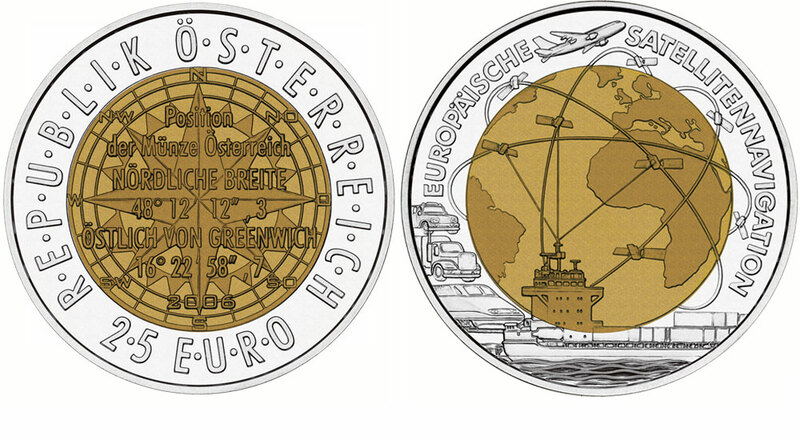 The outer silver ring contains both the country of issue (Republik Österreich, Republic of Austria) and face value, while on the reverse it depicts the different means of transport that make use of satellite navigation – plane, train, ship and motor vehicles – and bears the inscription “European Satellite Navigation” in German. The niobium core on this side shows numerous satellites orbiting the globe, their tracks spilling over into the silver ring. 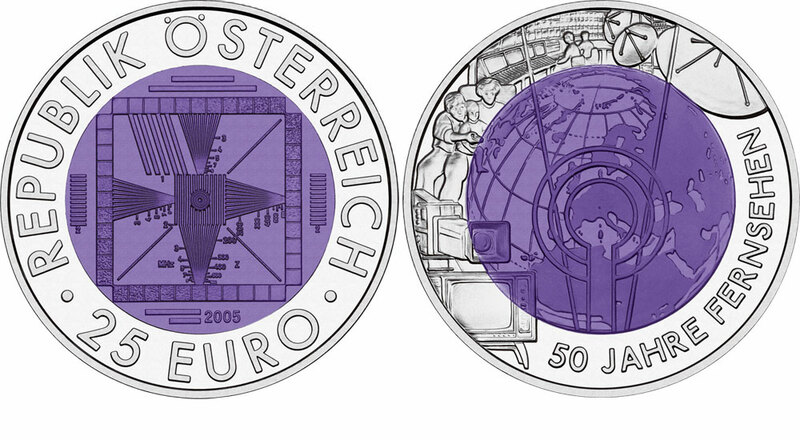 Considered something of a classic of retro design in Austria today, the original 1950s Austrian TV test card, used for calibration and focusing at the beginning and end of the broadcasting day, features on the purple niobium core of the coin’s obverse. 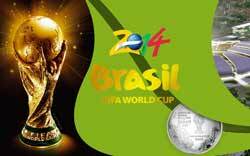 The country of origin and face value are shown in its outer silver ring. Milestones in the history of television, ranging from an analogue fifties TV set to contemporary digital satellite dishes, are depicted in the silver ring on the coin’s reverse, as is the inscription “50 years of television” in German. 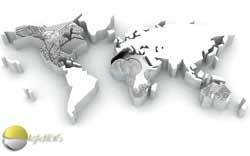 An old fashioned TV antenna superimposed over the European section of the globe is depicted in the niobium core. Considered the world’s first true mountain railway, the Semmering Railway is still in full use more than 150 years after its construction. 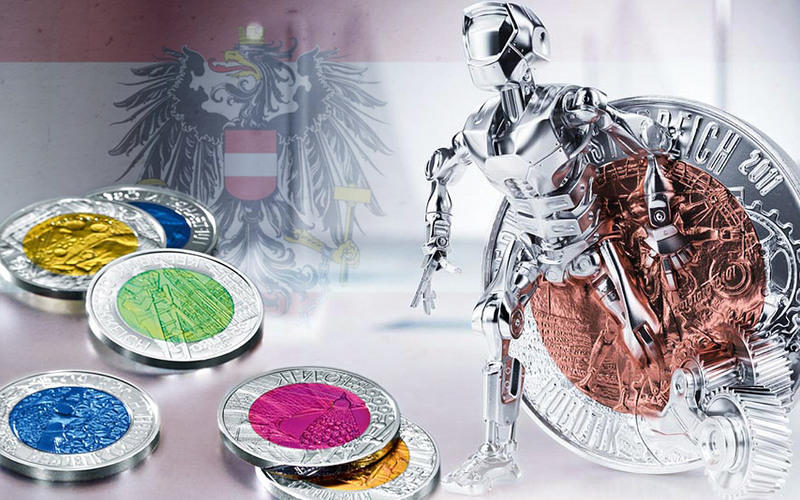 The 2004 edition of the Austrian Mint’s unique Silver Niobium series celebrates the anniversary of this technological wonder in fitting style. Built between 1848 and 1854 by some 20,000 workers and featuring 14 tunnels, 16 viaducts and over 100 stone bridges, over the course of its 41 kilometre length this UNESCO World Heritage Site conquers an altitude difference of 460 metres. The railway’s durability is symbolised by its contrasting past and present locomotives on the coin’s obverse. 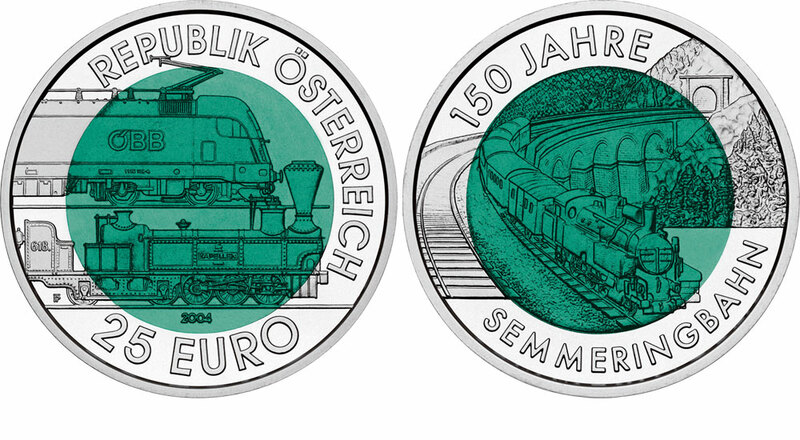 The coin’s vivid green niobium core mirrors the colour of the landscape through which the railway passes, which is shown on the coin’s reverse. Here a steam train is seen crossing a viaduct spanning a deep valley framed by the coin’s outer silver ring bearing the anniversary inscription. 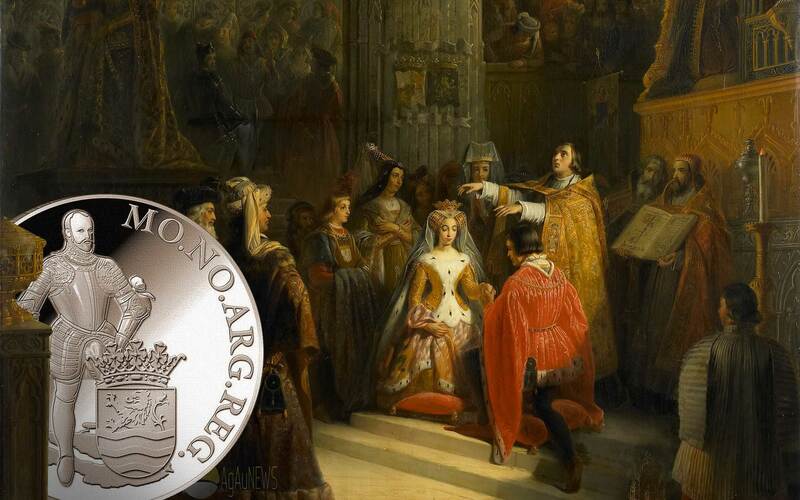 The coin commemorates the charter granted over 700 years ago to the town of Hall in the Tyrol, where the first large silver coin, the Guldiner, was struck in 1486. The die used to make the Guldiner features in the blue niobium core of the coin’s reverse, a reference to Hall’s historical role in the minting business as well as the metal that forms the outer ring of all the coins in the Silver Niobium series. A relatively new find only discovered in 1801, niobium plays an important role in the space industry, something acknowledged on the coin’s reverse, where a satellite maps the town of Hall from space. 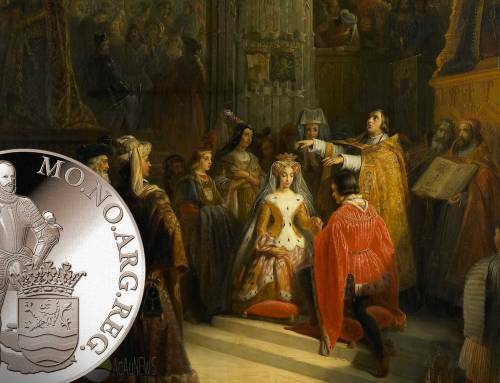 With a maximum mintage of 50,000 pieces in Special Uncirculated quality only, the coin contains 9 grammes of 900 Fine silver in its outer ring and 6.5 grammes of 998 pure niobium. 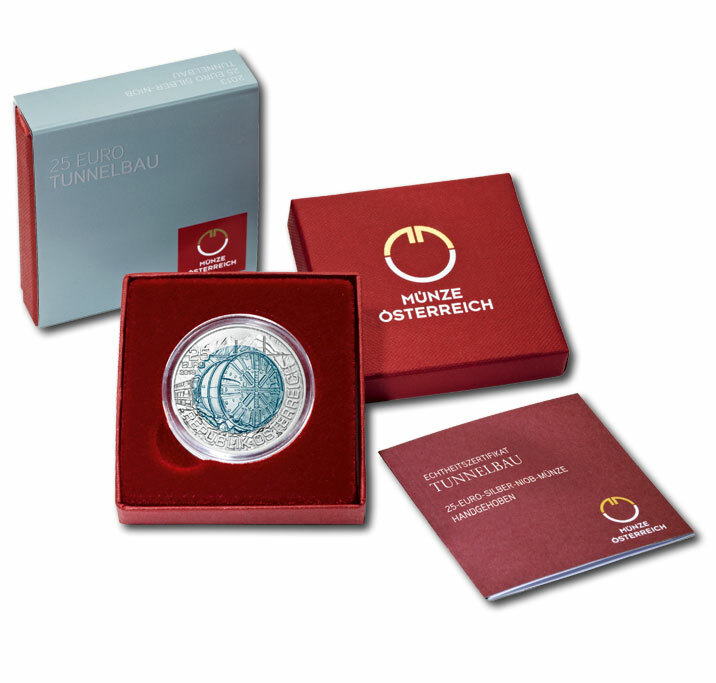 Each coin is encapsulated, boxed and comes complete with a numbered certificate guaranteeing its authenticity. 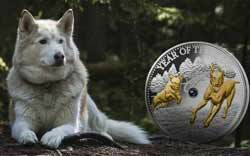 Is the Austrian Mint discontinuing the series? I haven’t seen any 2017 pieces up for sale, let alone images of designs. 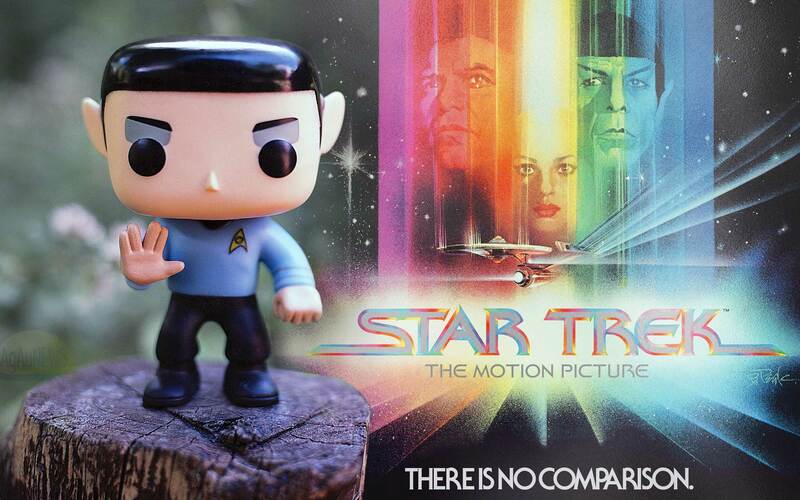 Kelly, check out our Release Schedules page. 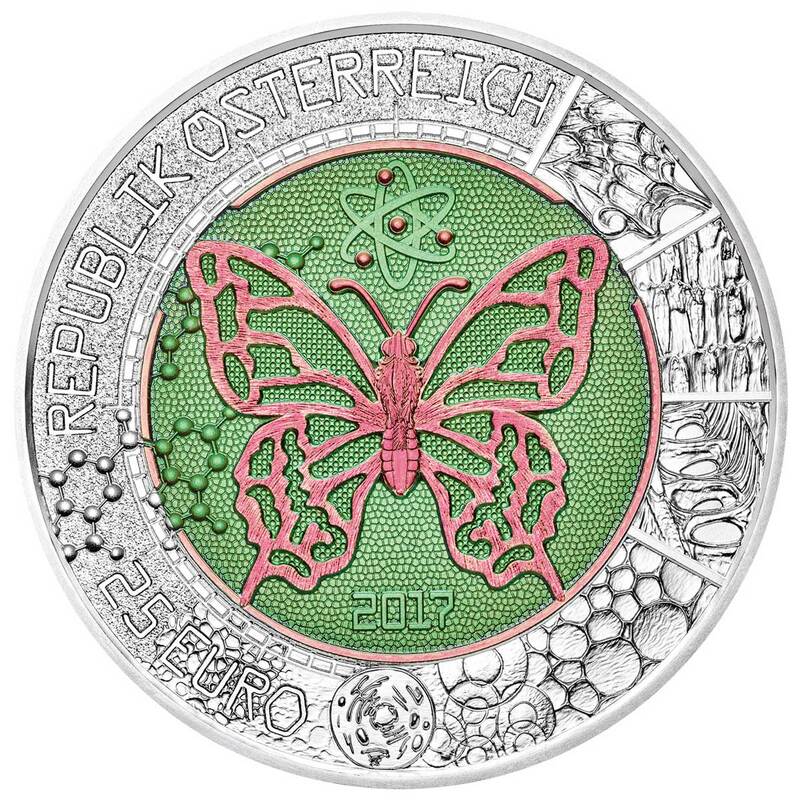 The Austrian Mint tab has details and clicking on the name shows an image of the 2017 coin called Microcosm. It’s out much later this year in July. Prices vary wildly Louis and I don’t think anyone could give you a definitive price. Checking Ebay’s completed listings is a good indicator of what they’re selling for. I don’t know of anyone selling a set, so it will take a bit of hunting to get one a coin at a time..
Louis – I have a complete set from 2003-2016 which I am willing to sell. 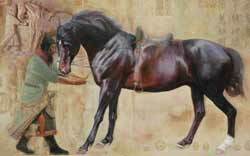 I suggest you look on ebay for prices and then email me your offer. All coins are in original boxes with documentation and are in mint condition. Saw your post about the Austrian 2003-2016 set of Silver Niobium coins. What is your price for the whole set?